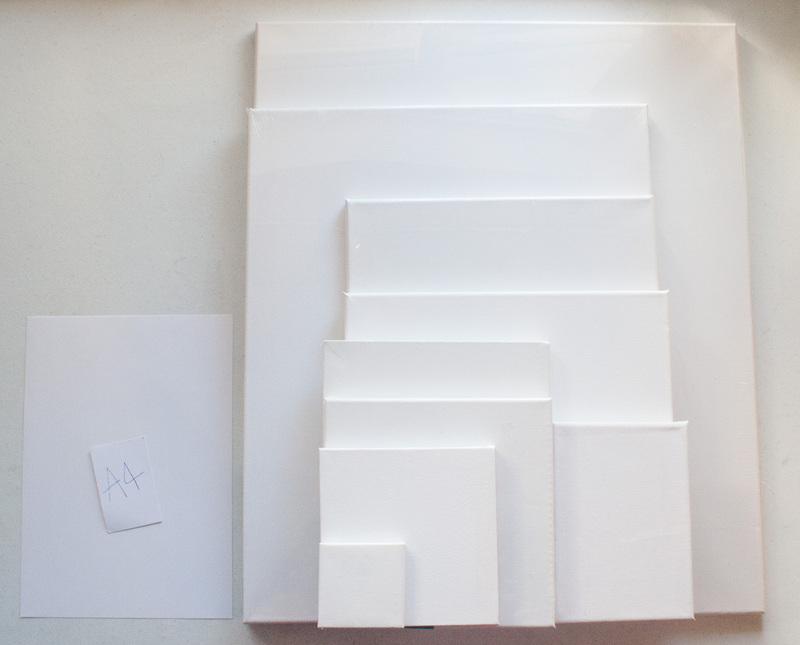 This photograph shows all the canvas sizes that I use laid on top of each other, next to a piece of A4 paper, to give you a better ides of what the sizes are. I mainly use rectangle shaped canvases, especially for the larger pieces, but I do have some square sizes available too. The larger sizes work better for detailed images whereas the smaller ones suit simpler more cartoony work.